The greatest pleasure I get from sharing my collection on this blog is when I post pics of a board by a shaper and or a label I know little about and I get contacted by a reader who sheds some light on my find. 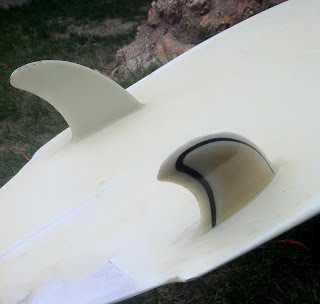 In the past I have been lucky enough to be contacted by the original shapers themselves, the airbrush artist, the glasser, the son of the shaper, the daughter of the shaper and in one case the brother of a shaper who had past away. 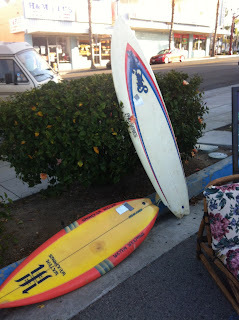 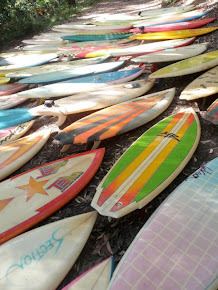 I'm crossing my fingers that someone can help me shed some light on this beautiful recent find from the Longboard Collectors club meet in Oceanside. 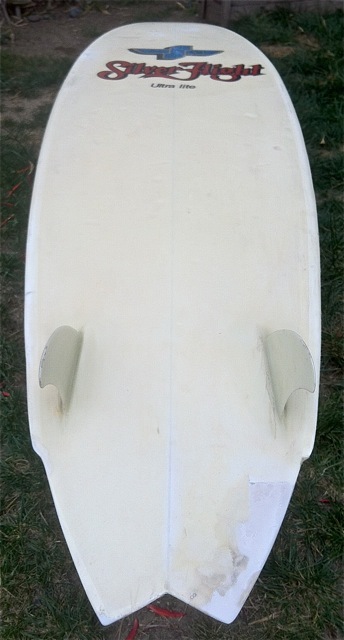 A "Silver Flight" 6'4" single flyer swallow tail twin fin with a full pigment coat and pigment coat resin stripes on the deck, shaped by L.Jackson. 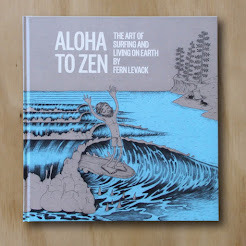 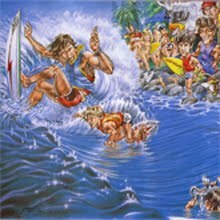 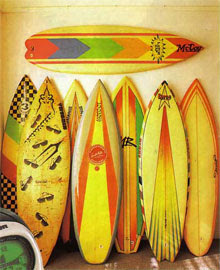 It has a textured deck which brought back terrible memories of scabbed up knees and chest from my textured deck Aloha from 1982. 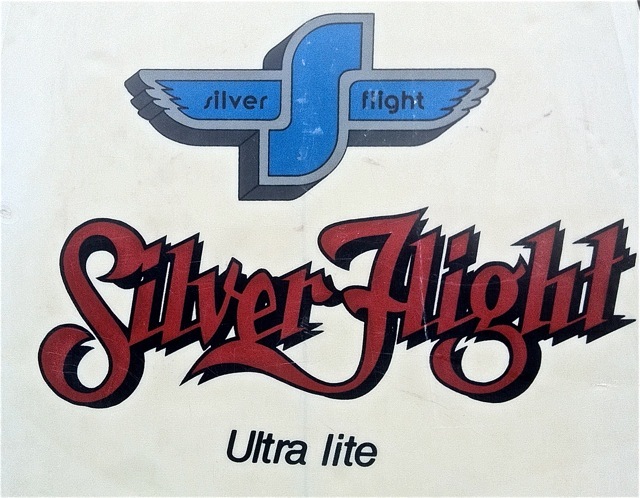 The 'Silver Flight' logo is somewhat reminiscent of the Lightning Bolt logo of the time. 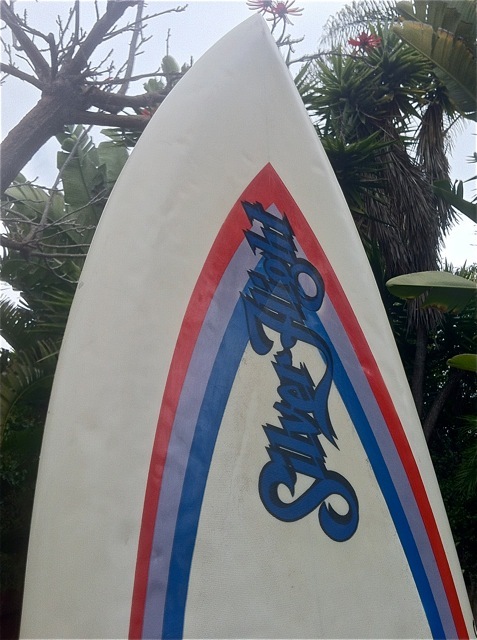 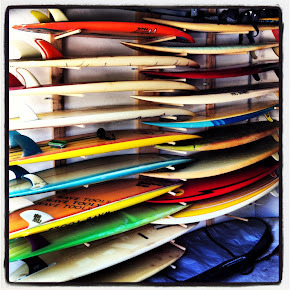 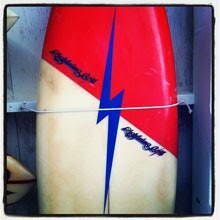 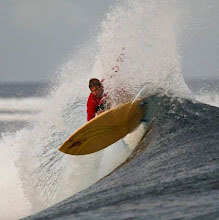 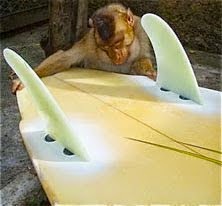 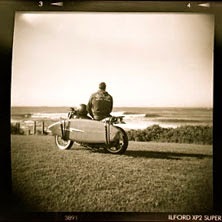 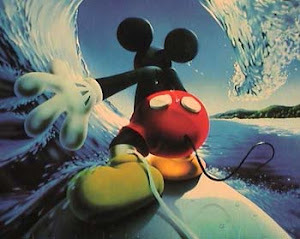 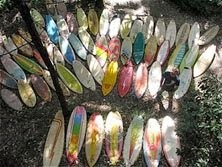 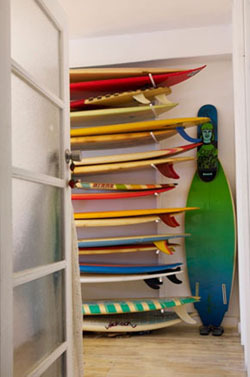 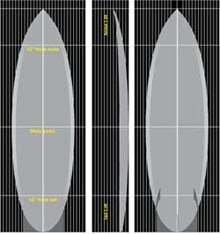 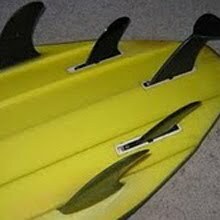 Well according to Andy Anderson of Stoked'n'board Silver Flight was owned and shaped by one Mr Bob Hurley. Damion, if my memory serves me well, Silverflight was Tom Eberly's label. 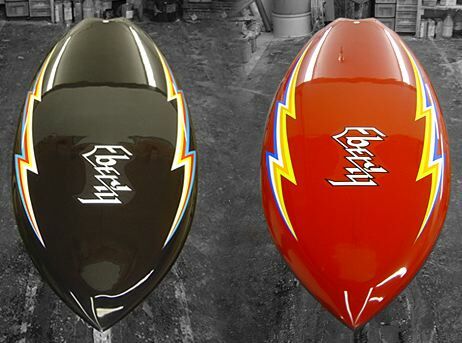 If you look at the Eberly label boards of the same period the script is identical to Silverflight. 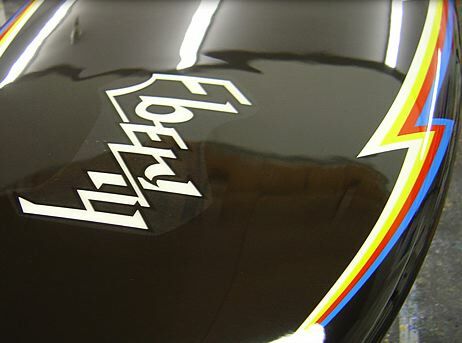 Eberly was the West Coast Lightning Bolt shaper from the 70's to mid eighties and I'm pretty sure the Silverflight logo was copied from Star Bolt.